Don't know how I found your site but I printed your article on rearing to give to our trainer.... it really sounds so similar...here's the situation as written to another web site.... I am really trying hard to find out what the problem might be..... We live in Idaho. I really appreciate any suggestions. If you saw a video of our daughter riding this horse in early June you would not believe this is the horse that I am describing.... The reason that we bought her is because she is such a sweetheart. No one is riding this horse until we can figure this out. She gives no warning and flips quick. 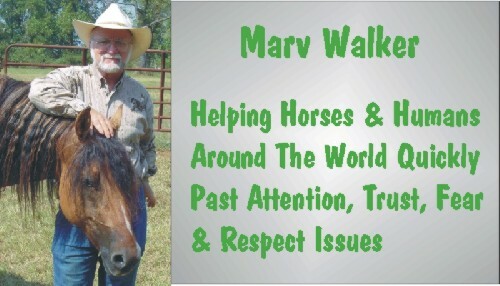 I checked with the AQHA and she does not have "Impressive" in her bloodlines...you can reach me at ***********.com... Thanks! Today, our trainer (30 years experience) came to give our daughter her first lesson here at home. We longed great for a good 20 minutes in an open 70-90 ft area, our daughter rode for a good 15 minutes fine and then the horse didn't want to go..... Our daughter needed to be more aggressive, but the session was going so smooth. The horse again didn't want to move so the trainer had our daughter get off the horse. The trainer got on and rode fine for several minutes..... THEN comes the nightmare..... the horse out of the blue, rears up, falls back, the instructor scrambles off, and the horse stands. The instructor was thankfully not hurt but surprised at her behavior because it was totally out of her character (In her 6 weeks of training nothing like this happened at all).... she mounted again right away, rode the horse for several more minutes while the mare did great once again.... THEN as soon as she put just a little pressure on the large snaffle bit boom.... up again, horse falls back over again. My first and utmost concern is safety! Good grief! If it had happen once.... I would have considered it an accident.... but 4 times???? Will this horse ever be safe for my daughter??? Can problems like this be resolved??? The only other clue that I might be able to add is that I just found out that the horse had gone to another trainer prior to our purchacing the horse.... If she had bad experience there ( her sensitive month??) I don't know if I would get the truth anyway.... The owner of the horse seemed to be very straight forth about the sale, guaranteeing the horse, but also saying the she was not selling her as a children's horse because of her young age. We have now had the horse 2 months. We had a horse dentist look at her mouth a month a ago to make sure everything was fine teeth wise and bit wise.... we used a large rubber bit in training..... we just love this horse! Help! Do I ever trust her again???? I am so appreciative of your web site..... what great information!... and I did read about the other horse with a somewhat similar situation....Please answer soon! Thanks so much! We had her at the stable for 8 days again just longing her... no problems except that she had been "dreadfully" in heat... their words... Day 9 the trainer puts her on the drive lines and she rears and flips 10 times. I was not present but they gave me this report....They have never in all their experience seen such craziness! She goes up and over very quickly and lays there. She does not care if she hurts herself. She threw herself into the wood walls of the arena more than once. The trainer has lots of experience with horses that flip because he worked with race horses that flip in the gate. He is determined to see this through. He threw a blanket on her and threw water on her.... he tried every trick he had ever had to use...Day 10, he puts her on the drive lines and works her for 10 minutes with total success. She thought about doing her flip trick, but thought against it... They gave her lots of praise and put her away. Day 11, She goes through the routine almost by herself.... as though she is saying.... "I'll be good, I'll be good".... One time she thought about going up, but again decided against it. They kept the session short and put her away on a good note. We were really hoping that the vet would find the clue to our problem. In October, the trainer will work her again and ride her then and we will take it slow and easy. My mind is reeling, I can only imagine what yours is doing. First of all I want to say that I am operating strictly from information that I have received in an email. I have no knowledge of this situation beyond what you have read on this page. Rearing is unquestionably the most dangerous movement a horse can make. It is also by far and away one of the most complicated problems to correct. Dealing with a rearing horse requires GREAT care and extreme caution both in discovering the cause and stopping the behavior. The number one first step to take with a rearing horse is to immediately stop riding it until the cause is discovered and efforts have been made to correct it. In my opinion, horses rear for essentially two reasons. Pain, or when they are placed in a situation where they are prevented from turning when unwilling to go forward (also known as rebellion, evasion, fear or one of a number of mental problems). The number two first step in dealing with a rearing horse is to refrain from digging through one's bag of tricks in hopes of finding one to use. Regardless of the reason for rearing, force or repeatedly putting the horse in the rearing situation without prior remedial efforts is NEVER the solution - the horse will not rear itself out. You may be able to force the horse to resist the cause of the rearing but the cause will surface again and it usually surfaces at a point where your vigilance is down. Intentionally flipping the horse, tie-downs, hitting the horse between the ears with anything, throwing a wet blanket on her, or using any of a myriad of "tricks" do not work. By definition of work, or success, I mean (and I'm being generous here) that if you used the same trick in 100 rearing situations, you could count on a 25% success rate. In my opinion these old "tricks" survive because occasionally after one of these tricks is tried the behavior stops. Let's say, for instance, a horse rears because it has cervical vertebrae severely out of whack. The horse gets flipped, either on his own or manually, and the vertebrae get slammed back into place when the horse hits the ground. The horse no longer rears because the vertebrae no longer pains as badly. The flipper then forever tells everyone he knows of with a horse that rears, "Flip him, that's how I fixed mine!" It is not the trick that works, it is the removal of the cause. But most of the time these tricks only make the problem worse. Regardless of whether it is a pain or fear cause, the trick treatment may increase the pain and will almost certainly justify the fear. Step number three would be to determine which of the two reasons, or a combination of the two reasons, is the cause of the rearing. If it is pain, one addresses it differently than if it is fear. I always start with the pain possibilities first because when a horse is in pain, it is impossible to have the horse's total attention and because the far greater percentage of rearing horses I deal with have severe pain issues. If I am unable to find any pain issues (and just because I am not able to find any pain issues doesn't mean there aren't any) then I can deal with the fear issues more easily. Eliminating pain and then eliminating fear is the most logical approach. ANYTIME a horse abruptly stops doing something it did freely and willingly, I suspect pain. Horses are the most tractable animals imaginable, it is really unusual for them to abruptly switch gears. I believe we have a relatively young horse here (yes, I know she's 4) and all things considered has had a lot of training compressed into a short span of time (yes, 6+ weeks is a short time). In addition to accepting a rider she has had to learn how to balance herself AND the rider who is also "training" at the same time she's learning just to carry herself. When a horse is in the beginning stages of training, things get sore, twisted and strained more easily. No matter what anyone says, a horse is NOT fully trained in 6 weeks. It takes a LOT of wet saddle blankets to train a horse, especially one a child is going to ride. If we eliminate mouth problems ("We used a rubber bit in training"? Have you changed to something else since? ), and in this case we'll assume we have because a couple of practitioners have examined her mouth, we can begin to look elsewhere for the source of the problem. At one point a "little pressure was placed on the large snaffle bit" and we had a major problem. I have difficulty in seeing how one puts this kind of pressure on a snaffle. I would expect this term to be used with a shanked bit or a broken curb such as that unholy Tom Thumb bit. Tom Thumbs cause more wrecks than any other bit in my experience. It is impossible to use that bit without sending a lot of conflicting signals and activating a number of pressure / pinch points. Horses move towards pain or the expectation of pain. We see this when we watch them "fighting." If the attacker goes for the head the victim goes up. If the attacker goes for the leg, the victim goes down. If a horse crowds us and we lose it and begin wailing on it and yelling, "GET OFF!!" it moves towards us. If we have a bit problem the horse could move in any direction to deal with the pain. But in the narration about we have all kinds of things setting the horse off and the results from those actions on top of the causes really complicate the situation. This makes for an incredibly difficult challenge. And it is even more complicated by the fact that children are at risk. Let me add here that just because several practitioners have checked something out and found nothing doesn't mean there isn't something wrong. Some very obvious injuries can be overlooked by the most experienced practitioner. Traditional vets, as a general rule, overlook things that are not actually swollen, bleeding, oozing or overheated. This is not to say that vets are shoddy and worthless because that is not the case. Practitioners tend to look for the things they see the most and few horse owners bring their horses to the vet for anything that isn't glaringly obvious. I believe horses move toward pain, or the expectation of pain. One can observe this behavior when one horse attacks another. If the attacker goes toward the victim's head, the victim goes up. If the attacker goes for the victim's leg, the victim goes down. On those occasions when one has lost it and wailed away on a horse with a crop or what have you, chances are good the horse moved into the whipper. When you see a balky horse being whipped on the hind quarters by the rider, the horse backs up. If the horse is not moving away, or has no time to flee the attack, it will move toward the attack. Nature says the closer you are to the beginning of the impact, the less damage you'll sustain. This principle can help locate the source of bucking and rearing problems. With this horse the neck would be the first place I'd look. I'd be pretty much willing to bet this horse has cervical vertebrae that are out of alignment. Since she has been over numerous times and even "stepping off a 8' edge of bank backwards down into a hole on her back" I also suspect she has numerous other injuries that may go undetected...sprung ribs (rotated rib cage even), scapula dislocations, thoracic & lumbar subluxations, sacrum problems. Do I think this horse is recoverable? Quite possibly. Judging from this mare's history I think that it will take about 6 months and a few chiropractic adjustments. I do not believe this horse is suitable for a 10 year old due to the ages of both parties and (unless the 10 year old is a **WAY** beyond her years horse person), the relative inexperience of each. Usually my age of horse recommendation is, the younger the rider, the older the horse. Another recommendation...keep the trainers away from this horse until the physical problems have been located and addressed. And when the physical issues have been addressed, stay away from those who use force to accomplish their goals. Click here to check out my very reasonably priced DVD inventory covering many of the subjects featured on my site's pages in greater depth.